The importance of goals is one of those most well known secret amongst those who are successful at work. They know they need a direction. They know what will help them achieve what they want and they pursue it relentlessly. Unfortunately, many fail to act upon this not so secret formula. Are you one of them? When I talk about the importance of goals at being better at work, I am not necessarily talking about work goals or career goals. I mean it in a broader sense, which includes personal goals. I see them to be inter-related. You cannot have your personal goals and work goals unrelated as each helps you achieve the other. If you want to be better at work, set goals for your work, but more importantly set goals for your personal life too. The importance of goals is that it gives you direction. You know where you need to go, an end point at the very least for the end of the year, or your evaluation as the case maybe. With goals, you know what you need to do and will figure out a way to achieve them. That way you won’t feel lost at work and even if no one is supervising you, you know what needs to be done. If you have personal goals that are related to your work goals, it allows you to check back and know why you are working. Let’s face it; the majority of people out there do not particularly like their work, given a choice they would rather quit. But if you craft your goals in such a way that it relates to your personal goals, your work no matter how bad it is at the moment has a purpose! When your work has a purpose no matter how small, whether to just to pay the bills, you will stay motivated. You won’t feel lost and you will be a better worker. Achieving a work related goal allows you to ask for a promotion or a pay raise. It provides a springboard for you to move on higher internally or even with another company. Take a look at your goals. If you do not have any personal goals, start thinking about them. How would you like to improve yourself this year? What can you do better? These are easy ways to start setting personal goals. Even what you would like to buy at the end of the year is a good start, short of having no goals at all! You can set goals anytime. There is no need to wait until the start of the year. Anytime is a good time. Let me use a simple example, you can set a goal of finishing two self-improvement books in a month. Or spend at least 30 minutes a day reading. These goals need not wait until the start of the year or whatever deadline you give yourself. The importance of goals is that it allows you to have direction. When direction is coupled with action, you become a better worker. That is the secret ingredient in being better at work. Be clear about what needs to be done to add some energy into your work life. Tips and strategies for effective goal setting in the workplace to increase your performance review. 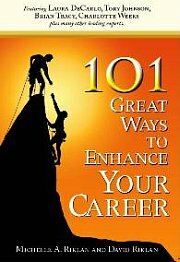 Feeling disillusioned because you can't seem to achieve your career goals? Here's a roadmap to help guide you to achieve your goals, realistically. Your success and your personal goal setting are directly related to each other. Setting your personal goals also means you are planning for success. Setting goals is necessary to plan and measure your success. Something seemingly easy enough but more often than not, most newbies try to avoid it. Here are basics to easy goal setting. Personal Goal Setting- What Are The Areas You Can Start Setting Goals? These are questions you probably ask if you are new to goal setting. Here are some areas you can begin personal goal setting. The main criteria for setting performance goals is establishing a clear set of achievable objectives with your manager at the beginning of your job. It is also your duty to set goals for yourself. Setting and achieving goals is not the duty of the manager alone. In order to achieve career success, you need to set personal goals that are meaningful and motivating for yourself. If your personal goals this year focuses on doing great in your career, here are some new tips and ideas on how you can achieve it. For more recommended readings on the importance of goals, click here. What Are Your Career Goals & Career Resolutions? Do have any career goals? Have you listed them down? Tell us about it here! Your goal list will appear on a Web page exactly the way you enter it here. You can wrap a word in square brackets to make it appear bold. For example [my list] would show as my list on the Web page containing your list.